All the fun of the Underdog delivered. Simon Gorsak is visiting the Quik & Slow Comedy Show to talk about his upcoming tour with Clare Belford and Brett McCrindle. 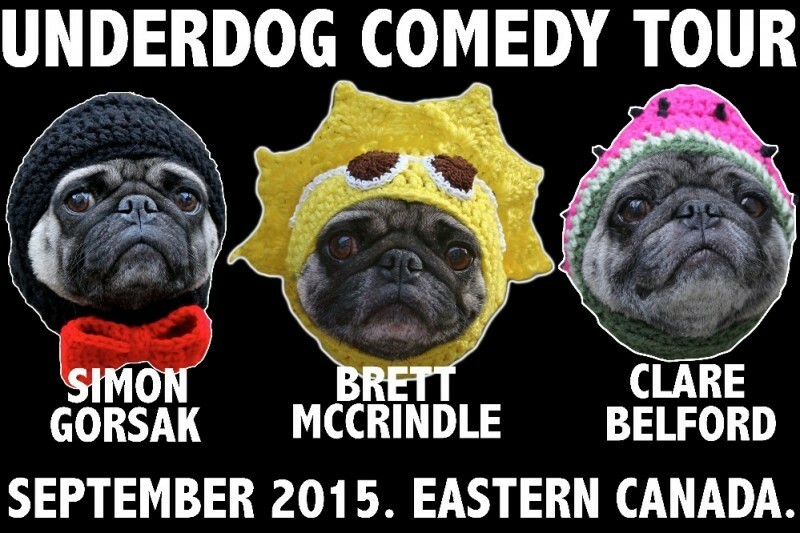 Named for the famed Underdog Comedy Show, the Underdog Comedy Tour will move out of the Black Dog Freehouse basement and step into the eerie darkness of eastern Canada. Nick McQuik rallies a cry to his chiminea sweep, James Ross, to help these hilarious contemporaries in their quest to get the show on the road. Will their car make it? Stay tuned and find out for a grand slam of a hit on this week’s episode of the Quik & Slow Comedy Show!